Custom sensor probes were placed in, on and under glaciers and data collected from them by a base station on the surface. Measurements include temperature, pressure, stress, weather and subglacial movement. The information gathered is important in understanding the dynamics of glaciers as well as global warming and the project has produced useful new data. The project has deployed on four glaciers; one in Norway, and three in Iceland (current research), the probes have also been trialed in Tijuana to monitor landslides. The rapid breakup of the glacier which prompted the move from Norway to Iceland led to a BBC News article. See our Frequently Asked Questions page, our blog, the 2014 fieldtrip and our 2013 film on Youtube. 2016 saw us deploying an Iceberg Tracker together with Formula E in Greenland. See its path and their video. Curent research is into low power dGPS trackers for Glacier movement. We captured a timelapse films over winter and a 3D model fly-through. Read our Case Study published by Swift Navigation. If you would like to become involved in this research there is the possibility of a studentship in Glaciology or in Electronics or Computer Science. Funded by Leverhulme, National Geographic, Royal Society, Department of Trade and Industry and EPSRC. 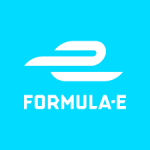 Sponsored by ARM and Formula E. Also IoT project by NERC.